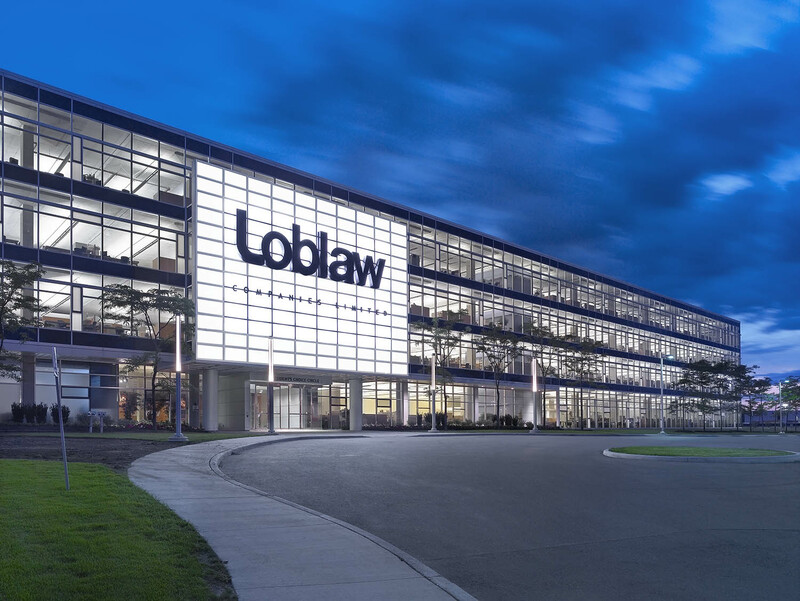 The new head office for Loblaw Companies Limited in Brampton, Ontario brought together numerous distributed offices from around the province into a facility designed to support the corporate community. 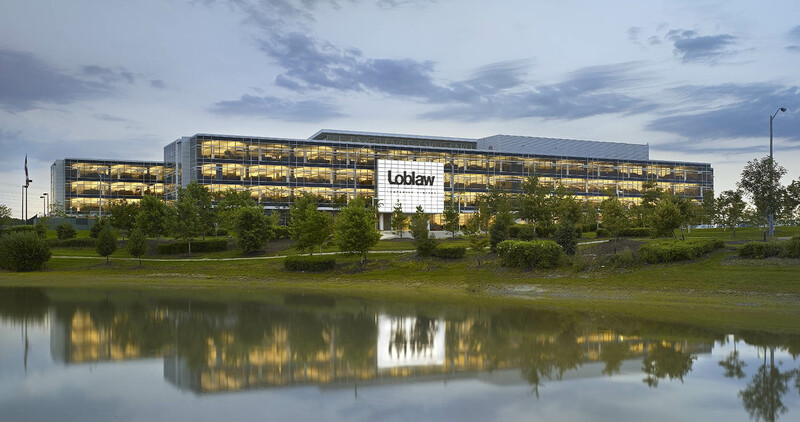 For their new Canadian Headquarters in Brampton, Loblaw Companies wanted more than just a new office—they wanted an environment that would drive better results, increase employee satisfaction and promote higher productivity. 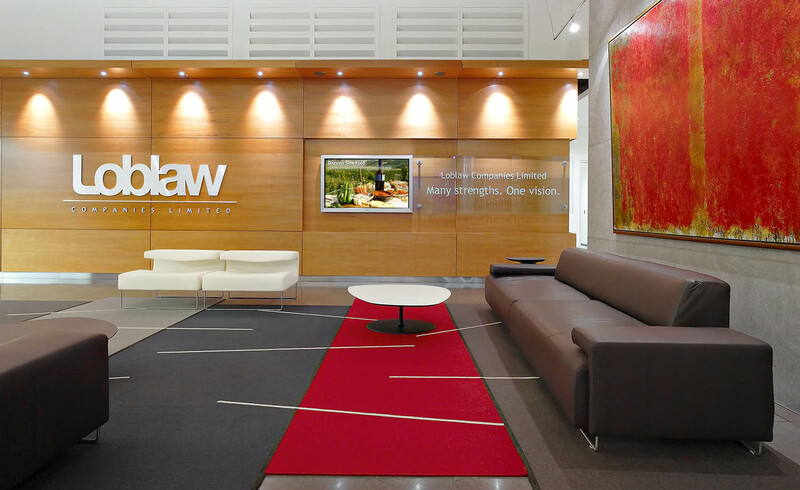 They wanted better communication between employees and strong brand awareness. The building design responds to these desires through its organization and in the details of its design. 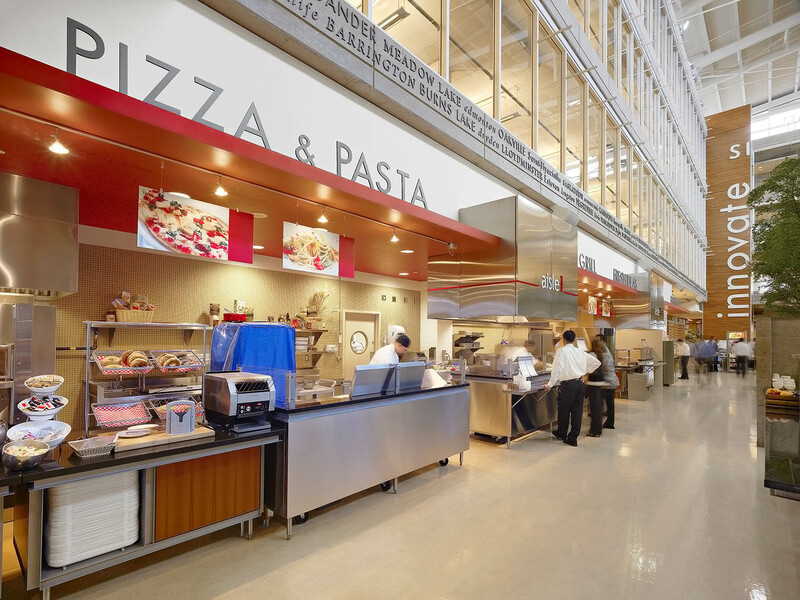 A large central atrium is the focus of the building which is an employee space housing the cafeteria and bounded by the President's Choice test kitchen. 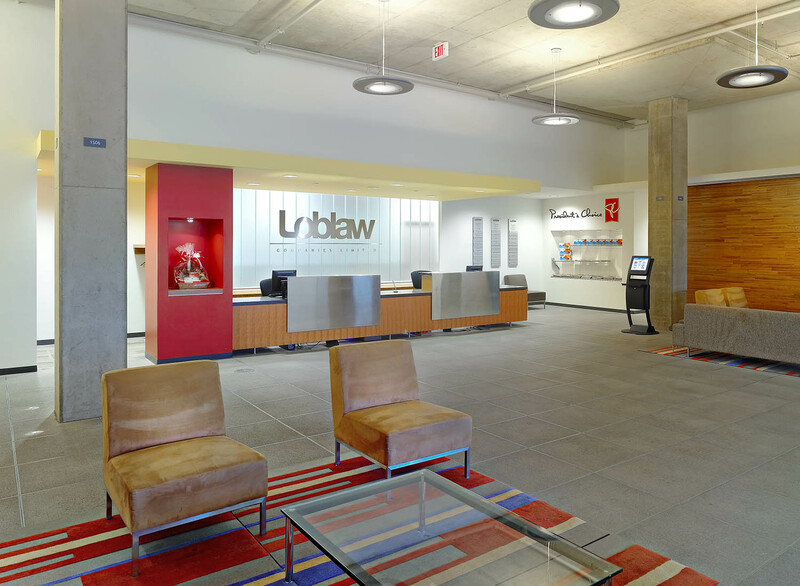 This atrium serves as the company town hall, informal meeting space and a showcase for corporate brand and identity. 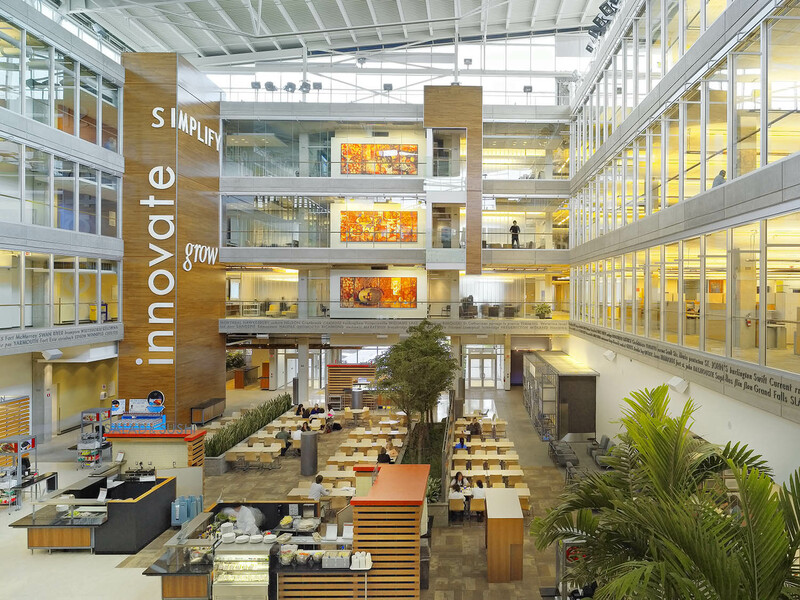 Improved workplace productivity is supported by the many green features of the building focused on comfort and efficiency. The office features include the following. Future flexibility — Designed with offset cores and a raised-floor system for all voice, data and power cabling, the open plan is suitable for a variety of future tenant uses, either through reconfiguration or multiple tenants. 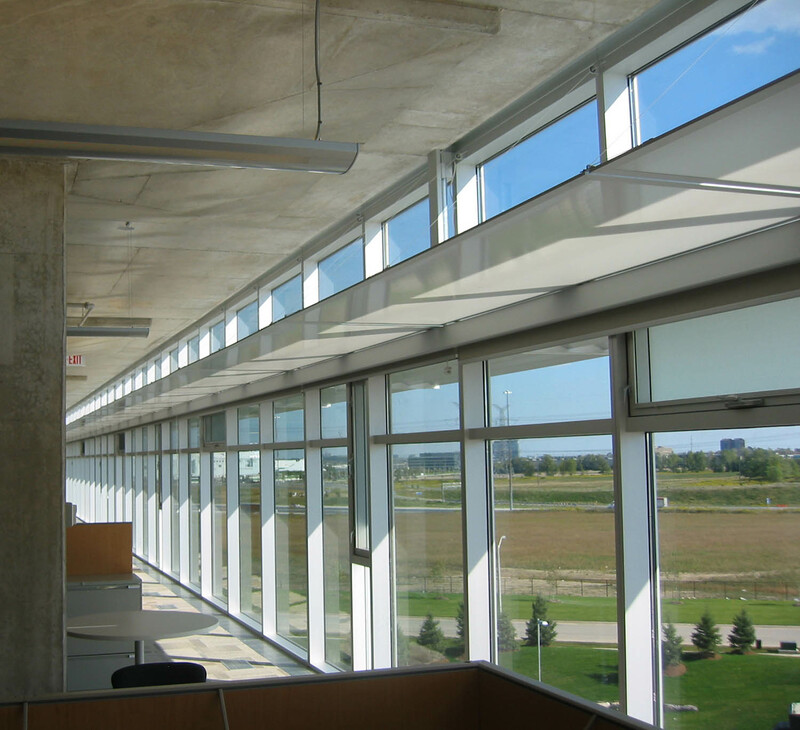 Increased daylight — A shallow floor plate and the combination of sunshades and light shelves travels light deeper into the workspace, reducing the required electrical lighting and creating a more comfortable workplace. Improved air systems — A result of the under-floor air system that allows for individual user control over temperature. More efficient than plenum air, under-floor air is a low-velocity system and supplies air at lower temperatures, resulting in less wasted energy. 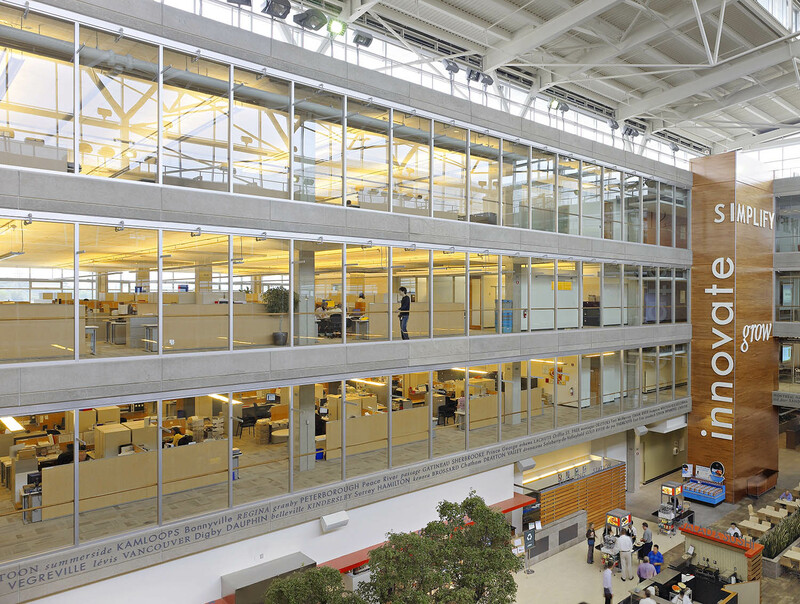 Operable windows bring in fresh air naturally, creating a healthier workplace. 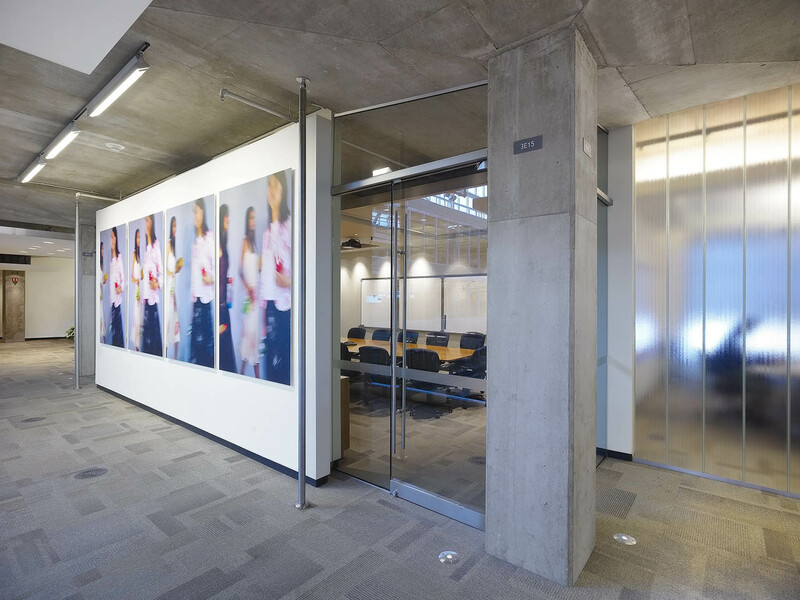 Efficient design proportions — Floor-to-floor heights are less than in conventional office buildings and the linear perimeter of the building is minimized, using less total building material, maximizing interior layouts and reducing maintenance area. 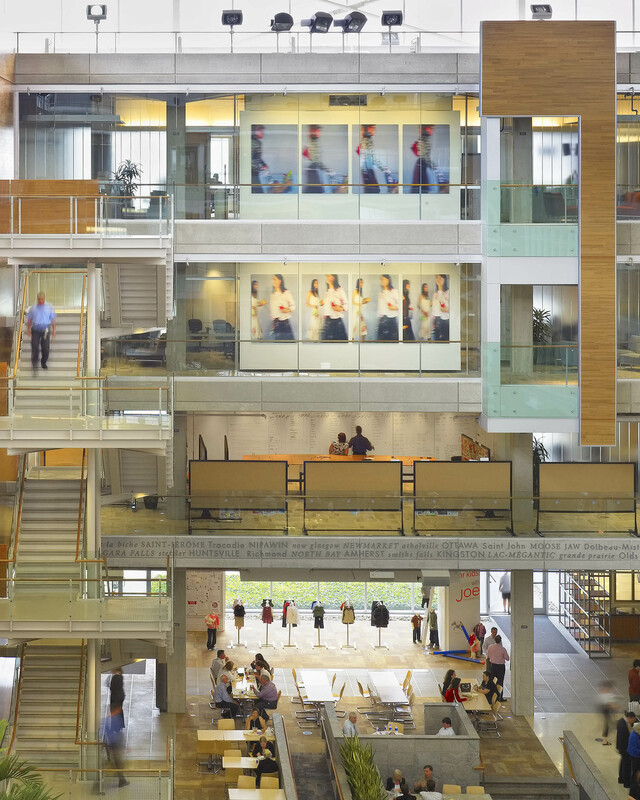 Healthy building — Better air quality, increased daylight, individual controls, collaborative working areas and a sustainable environment that attract future employees.